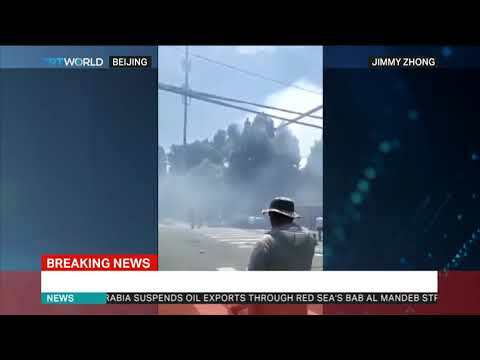 An explosion has been reported close to the US embassy in central Beijing, according to multiple eyewitness reports on social media. Video and images posted show smoke rising from the vicinity of the embassy in the heart of the Chinese capital, with crowds gathering. The Chinese government has yet to confirm an incident and no casualties have been reported. The exact cause of the reported blast is not yet clear. Several witnesses told Reuters news agency they heard an explosion and felt tremors. State media outlet Global Times tweeted that police had taken away a woman who had tried to set herself on fire near the embassy at 11am local time, several hours before the reported blast. It is unclear if the two incidents were linked. 0 Response to "Blast Reported In Beijing Near US Embassy"